Anyone familiar with Emerging Church icon Shane Claiborne knows that he was quite taken with the late apostate Mother Teresa, who actually took her name out of her respect for so-called “Christian” mystic Teresa of Avila. Below are the words of Mother Teresa from my personal copy of her book Life in the Spirit: Reflections, Meditations and Prayers. We never try to convert those who receive [aid from her organization] to Christianity but in our work we bear witness to the love of God’s presence and if Catholics, Protestants, Buddhists, or agnostics become for this better men — simply better — we will be satisfied. Growing up in love they will be nearer to God and find him in his goodness. Every human being comes from the hand of God and we all know what is the love of God for us. My religion is everything to me but for every individual, according to the grace God had given that soul. God has his own ways and means to work in the hearts of men and we do not know how close they are to him but by their actions we will always know whether they are at his disposal or not. Now as loving as this might appear on the surface, it’s very definitely not the Gospel that was preached by Christ and His Apostles. No need to be born again; no making disciples of Christ, and no teaching them to obey everything I have commanded you. However, the above fantasy is completely consistent with the delusion received by those who practice the Contemplative/Centering Prayer (CCP) of the spurious CSM aka Spiritual Formation espoused by ordained Southern Baptist minister Dallas Willard and his spiritual twin Living Spiritual Teacher and Quaker mystic Richard Foster. If you don’t know, The Simple Way (TSW) is “a community of faith” to which Claiborne himself belongs. It’s also quite telling that under Recommended Books “On Ecclesiology (theology of Church)” are A Generous Orthodoxy and A New Kind of Christian by the heretical Brian McLaren, who’s now also a Living Spiritual Teacher alongside such as Deepak Chopra, the Dalai Lama, Thich Nhat Hanh, Eckhart Tolle, and Marianne Williamson; as well as a leading guru in the the neo-liberal cult of the sinfully ecumenical Emerging Church aka Emergent Church—that’s now morphed into Emergence Christianity. 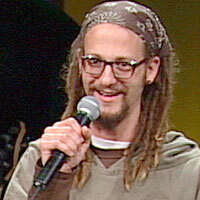 Shane Claiborne is also one of the Red Letter Christians alongside the likes of his mentor Tony Campolo, Roman Catholic mystic Richard Rohr, and Brian McLaren. Now the above tweet takes us to On Evangelicals and Interfaith Cooperation at the TSW website where they tell us: “A few years ago, Shane interviewed Tony Campolo for an article in Cross Currents Magazine. We think it’s still relevant.” Since I discussed that 2005 interview in Emergent Evangelical Prophet Tony Campolo, back in February of 2006, this immediately caught my attention because it means Claiborne’s view is unchanged. So because TSW and Claiborne have just brought the subject back up by linking it at their faith community website, and in light of their recommendation of the warped and toxic theology of EC guru Brian McLaren, I am once again going to highlight a couple of things from that Claiborne’s interview with Campolo. In Brian McLaren Invites You On His Quest To Destroy Christianity I pointed out that with his new book A New Kind of Christianity (ANKoC) McLaren has laid out his reimagined i.e. new form of Progessive Christianity aka liberal theology, which so many in the EC actually adhere to as well. TC: We don’t have to give up trying to convert each other. What we have to do is show respect to one another. And to speak to each other with a sense that even if people don’t convert, they are God’s people, God loves them, and we do not make the judgment of who is going to heaven and who is going to hell. Of course what Campolo and his disciple Claiborne are talking about is not the genuine Gospel of Jesus Christ; but it is a primary online source giving you a glimpse at the gospel of goodness that these men personally believe. And this false teaching is completely consistent with the universalism one sees as they study mysticism as I have for years now. However, even if Campolo did happen to be correct when he dreams “even if people don’t convert, they are God’s people,” then this question comes emerging: Then why should they ever need to convert in the first place? Why should we even waste our time and money, not to mention risking our lives in Islamic controlled countries, to try and convert “God’s people”…ah, into…um, “God’s people” I guess? McLaren’s already on record saying hell is false advertising for God, and we also know that the other two thirds of the Emergent trinity heretical EC pastor Doug Pagitt and his equally heretical “theologian in residence” Tony Jones, both deny the doctrine of original sin along with guru McLaren so in their bankrupt Emergence theology there’s nothing to be save from anyway. In other words, conversion has now been redefined to mean joining them in their social gospel of goodness, which they usually express something along the lines of living the way of God in Jesus and being co-creators with Him in order to make God’s dreams for the world come to pass. But it’s well past time now to finally awaken from your slumber and realize that if this reimagined Emergence Christianity, where all of mankind is already the family of God, is true then there really is no Gospel left to preach. And so I wonder; just who might have come up with that little idea? No, this is more than enough reason for me to tell people to stay away from this “missional” Emerging/ent/ence Church. And remember, Emerging Church spokesman Dan Kimball has revealed to us that Emergent Wolves Enter Your Sheep Pens Through Youth Groups. The truth is that the time has arrived when we must reject these Emergent dreamers and their quasi-Christian universalism with its warped and toxic neo-liberal repainted social gospel ala Walter Rauschenbusch. And when all said and done, in the end, Claiborne is really just a Rob Bell with dreadlocks.